Thanks for your interest in the Bakery Service Team Member - San Mateo, CA position. Unfortunately this position has been closed but you can search our 2,968 open jobs by clicking here. ADA Statement: While performing duties, counter areas are often hot with steam from oven and food vapors. Work space is restricted and employees are expected to remain standing for long periods of time. Employees must prepare hot and cold foods, use oven and other kitchen equipment and work quickly without losing accuracy. Employees may be required to lift up to 50 lbs., stand up to four hours and reach across counter tops measured at 36 inches to serve customers. Kitchens are hot and noise levels are usually high; storage space is limited and shelving is high. Panda Restaurant Group, Inc is an Equal Opportunity Employer. 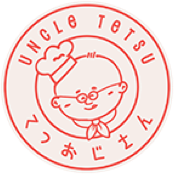 © Uncle Tetsu. All rights reserved.